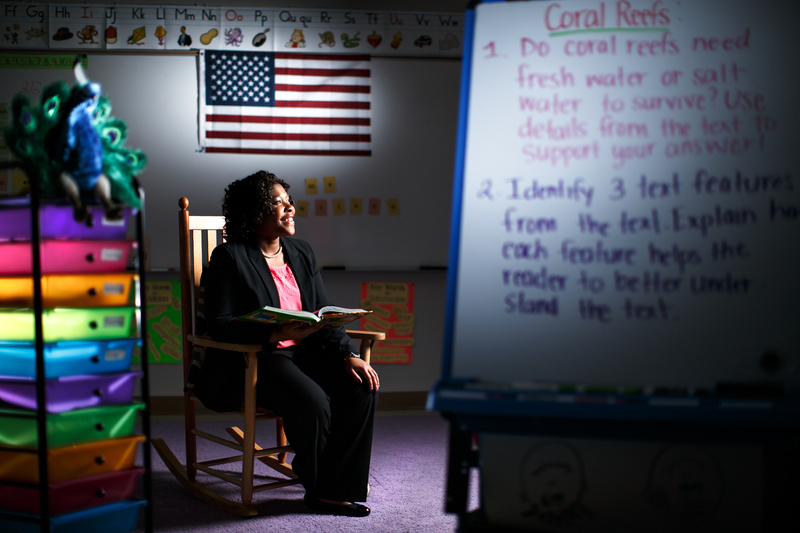 From the moment her eyes laid on the Expo marker in kindergarten, Kadrien, 21, knew she wanted to be a teacher. It sounds funny, but it’s true, she says. She always wanted to be called on to write on the whiteboard. The classroom is my therapy, the soon-to-be Bennett College graduate and current Simkins Jr. Elementary School student-teacher says. Her morning begins before the sun rises so she can get to school by 7 a.m. Classes begin at 7:30 a.m. Sometimes, she doesn’t get a break until the school day ends at 2:30 p.m. The second graders are by far her favorite. They’re at that age where they’re not “too cool for school” and still eager to learn, she explains. “I’m here for them, but I’m a person they can also connect with, too,” Kadrien says. It’s important to grab the students’ attention by knowing how to relate to them. That’s why Kadrien always sneaks in a joke to keep them engaged and laughing. Kadrien says the toughest part is knowing that some of her students come from challenging backgrounds. One of her students has an interest in gymnastics, but knows she can’t take classes because her mother can’t afford them. Kadrien was born and raised in Greensboro and attended Bennett Middle College, graduating with enough credit to enter college as a sophomore. She plans to stay here and teach in Guilford County Schools after she gets her teaching license after she graduates from college this weekend. 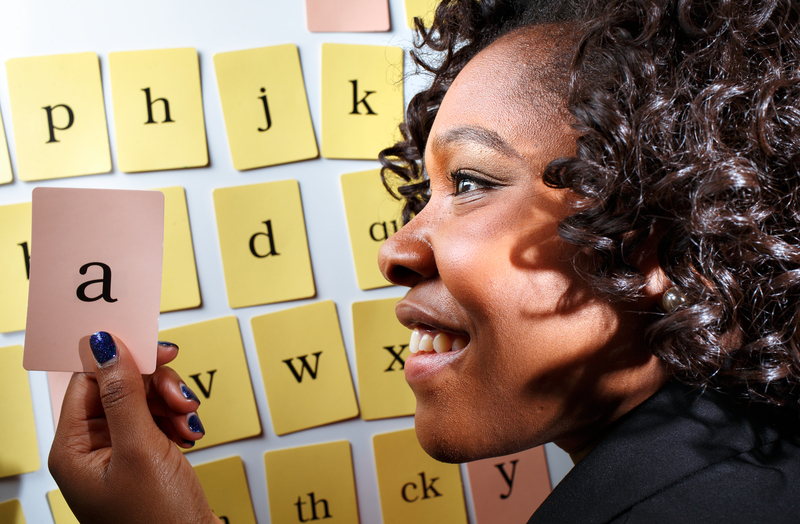 She plans to start as second grade teacher and work her way up. 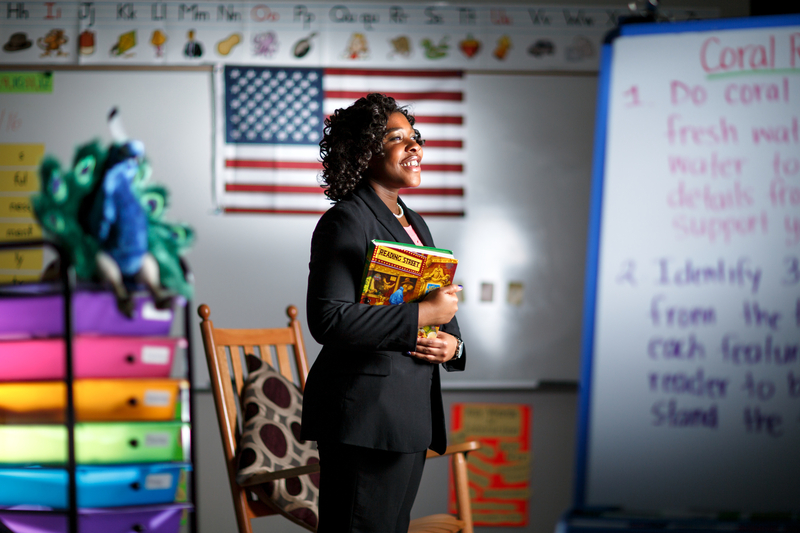 Kadrien’s dream is to work as a superintendent for the Guilford County School system.